OpenCV provides quite decent implementation of the Viola-Jones Face detector. 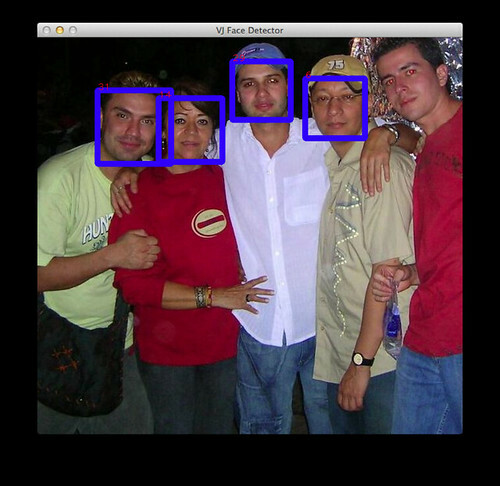 For more serious user, it would be nice to have a detection result for each detected face. This is because OpenCV skips the step of filtering out the overlapped small rectangles. I have no idea whether this is by design. But output likes this would not be helpful at least in my own case. So we would need to make our own changes in the OpenCV's source code. Actually, I found a straightforward design of detection score works well in my own work. 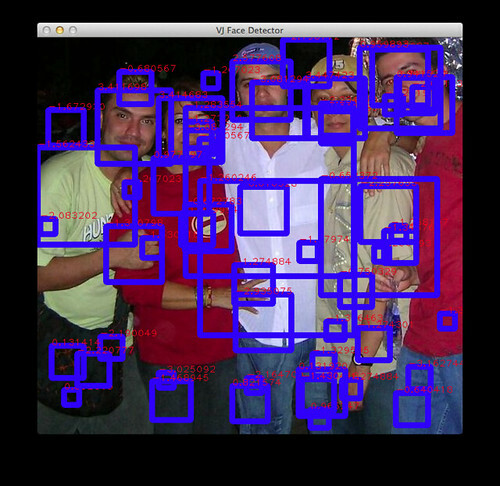 In the last stage of the face detector in OpenCV, detection rectangles are grouped into clustered to eliminated small overlapped rectangles while keeping the most potential rectangles. The number of final detected faces is at most same as the number of clusters. So we can simply use the number of rectangles grouped into the cluster as the detection score of the associated final rectangle, which may not be accurate but could work.